This Classic design with gently archedxx solid bonnet and stately shell and leaf overlay on the crown comes with a Treasure Oak finish on select hardwood solids and veneers. Reeded columns with upper and lower turned caps frame the dial. The functioning moon dial with pierced stars, raised Arabic numerals, embossed corner spandrels and center design glimmer in the night with an interior light. Through the beveled glass of the front locking door and side glass panels, brass finished weights shells and a lyre pendulum with matching decorative 10 .63" disk, hang attractively in front of a mirrored back. A cable driven movement that plays the Westminster chime features an automatic night silence option. A free engraved brass plate is available with this clock. FREE White Glove Gold Delivery! Exclusive VIP delivery is FREE for Clocks247 customers. 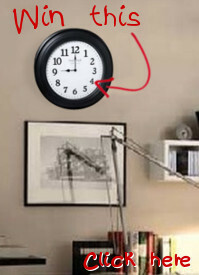 About a week later, the "white glove" delivery company (usually HomeDirectUSA) will call to schedule delivery of your new clock. This is a good time to decide exactly where you want the clock placed and to ensure a clear path for the setup team. At the scheduled time, the Deluxe delivery team will bring the factory-sealed clock into your home. If carton is damaged or you hear rattling glass, you may refuse delivery. White Glove Setup team will uncrate your grandfather clock and carefully place it in your room of choice, even up to 2 flights of stairs. Team will remove all packing material. Be sure to inspect the clock for any visible damage at this point. If your unit requires tools, then you can complete the mechanical installation and start enjoying your new clock. Easy set up instructions are included with your grandfather clock. The Howard Miller Help Line technicians are on call to answer your setup questions. Watch the Grandfather clock setup video for further help. All Howard Miller Grandfather Clocks include a 2 year warranty. Clocks247 Customer Service is just a phone call away. Our floor clocks customers become raving fans, so please let us know if you need any help along the way.